Wait! Don’t Use That Typeface! We love typography. A beautifully shaped letter infuses style and emotion into a simple word in the same way that a beautiful fabric brings life to a garment. It serves as both art and utility. When a spoken word floats into the air it enters the world bare, without the dress of a correlating visual font. The type selected conveys a mood—anything from dignity or silliness to boldness, strength or power. We often know the effects of well-chosen type but can’t explain its power over us to make us feel a certain way. For example, what kind of connotations do the following fonts have for you? 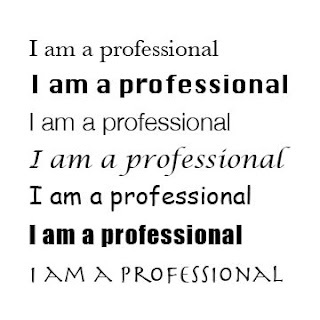 The selection of typography is no less important than how you dress for an important meeting or presentation. It can make the difference between being perceived as savvy and professional—or as amateur and lacking in credibility. So next time you’re tempted to dash out a memo in Comic Sans, think again. Maybe it’s time to call in an expert who can help you be sure that your font is saying exactly what you want it to say about you.